Knesset approves law that would bar extreme leftist organizations from entering schools. 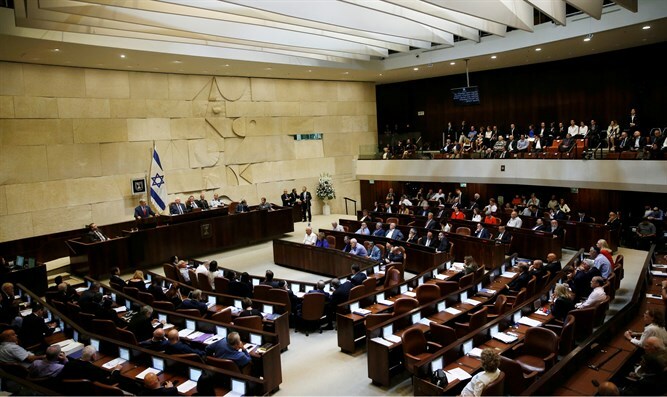 The “Breaking the Silence Law” , initiated by Education Minister Naftali Bennett and MK Shuli Mualem-Refaeli (Jewish Home) was approved by the Knesset overnight Monday in its second and third readings. The law states that extreme leftist organizations that operate against IDF soldiers and against the goals of state education will not be able to enter school grounds and meet with students. The law authorizes the Minister of Education to determine the rules that will prevent entry to educational institutions of "external elements who act against the goals of education and against the Israel Defense Forces." “This attempt to shut up Breaking the Silence will not be able to conceal the occupation, but it proves how much Bennett and his friends are afraid of their own ideology. It is time for Bennett and his friends to understand that as long as there is occupation there will also be soldiers who will break their silence to reveal what we have been doing in the territories for 51 years. Want us to shut up? End the occupation," added the organization.